Our minds are interesting entities. When performing as singers and speakers, there are lots of things vying for our mind's attention... the feel of our outfit, the temperature in the room, the size of the audience, the blinding spotlight, the missing spotlight, that label rep/old boyfriend/girlfriend/cute thing watching, the phone call right before the show or the meet and greet to come, the second verse you're not sure you will remember, the snack you ate in the greenroom, the fact you forgot to go to the bathroom, the importance of the evening, the guitar string sticking out more than the others (how ocd are you??) The more creative we are, the more our minds, like untrained puppies, can be distracted by all kinds of 'shiny things'. We usually have more control than we think we do... but don't know how to take our mental reins. 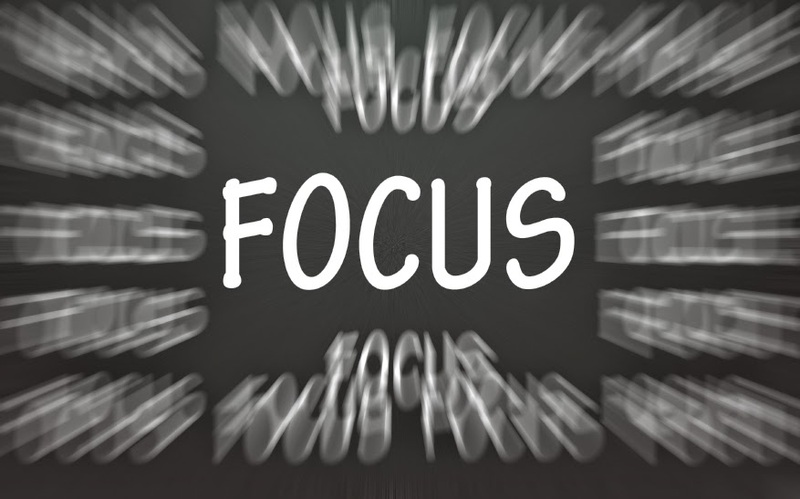 Focus is one of the most important mental skills for elite performance success. Unfortunately for too many artists, it is also the hardest mental skill to master. I have worked with many high level athletes and performers, and time and time again we come back to focus. Though focus has multiple interpretations, for my work I use this definition: It is centering of attention on a single factor, and developing a clear definition of what needs to be done. [Judy adds: The single factor should be getting a specific emotional response from the specific heart or composite heart to whom the lyric is addressed. ]When we are focused everything goes seamlessly, we are truly in the “zone”. However the stress and anxiety of performance can take our focus away, and cause us to be half hearted in our performance, or allow nerves and anxiety to overtake our performance. Focus takes discipline and commitment. While rehearsing, choose the most important moment in your songs and focus on this. [Judy says: pick the central line with the central message of the song] Especially during an emotional piece, when connecting with the audience and the content of the lyrics is essential for ultimate success. This level of focus and energy can be exhausting. [Judy says: I suggest you practice technically twice as much as you do emotionally] You can practice this focus technique by quieting your mind before each rehearsal and performance. Take several deep breaths and allow yourself to focus only on the rhythm of your breathing- if other thoughts intrude simply let them go without paying them any attention. Practicing quiet breathing will increase mind-body awareness and help with focus during performance. 2. Close your eyes and begin a series of long slow breaths, emphasizing taking breaths from your stomach instead of your chest. 3. Clear your mind of any thoughts other than your breathing. 4. If there are any distracting thoughts that come in- simply let them go. 5. Continue this pattern until you are completely relaxed and able to focus.